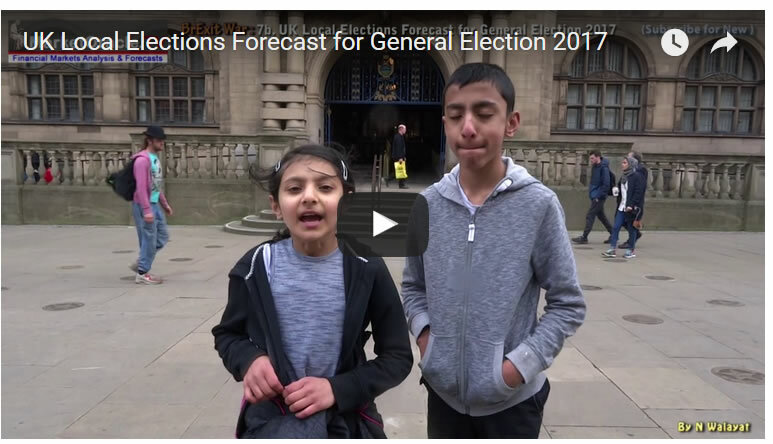 The recent local election results confounded election logic which is that the party in government tends to do badly at mid-term local elections. Of course we are not living in normal times, we are living in the age of BrExit where most voters realise the fundamental fact that there is only one party that has any chance of ensuring a successful Brexit outcome, the Conservative party and so the voters are intent on putting the country first by delivering Labour a blood bath whilst to all intents and purpose literally KILLING UKIP off in Thursdays vote which saw many Labour and most UKIP voters mark their ballot papers with crosses and ticks against the Conservative candidate. 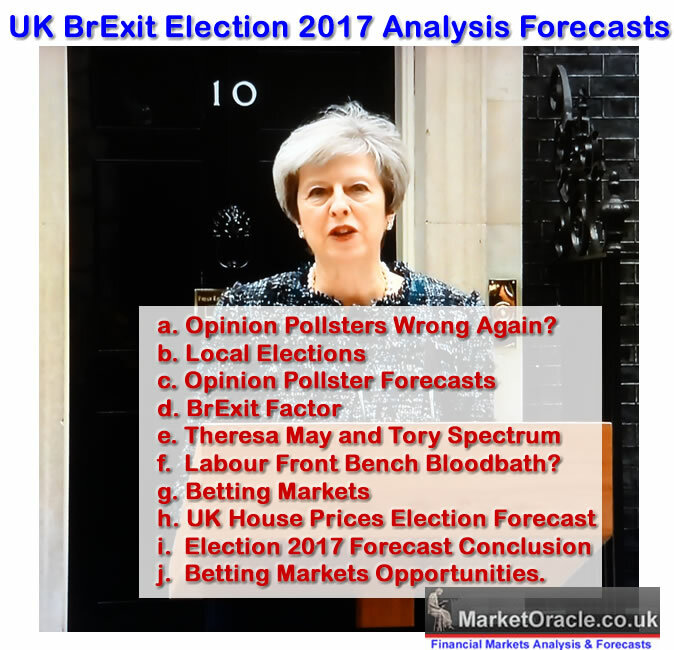 Ensure you are subscribed to my always free newsletter for the next analysis in this series as I countdown to my UK general election 2017 final forecast conclusion and to our youtube channel for videos in this and the BrExit War series.